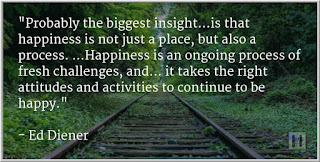 The research of Ed Diener is spot on: happiness and fulfillment are not simply states of being, but ongoing life processes. What I refer to as "personal process" is the life equivalent of a trading process. A sound trading process consists of activities and procedures that align us with opportunity and optimal performance. A sound personal process aligns us with our values and strengths, so that we're not only doing things right, but doing the right things. 4) Engaging in connectedness activity, doing things that build significant relationships. All too often, the reaction to such a template is: I don't have time for that! We make busy-ness our business and, day by day, we lose the sense of fun, meaningful purpose, stimulation, and connectedness. Many years ago, I was coordinating a student counseling program and had a number of students seeking help. I did not want students to have to deal with a waiting list, so I moved from 45 minute meeting times to 25 minute sessions. My counseling office became an assembly line of meetings. In the 25 minutes, however, we could not go into depth and detail into each student's challenges. Nor did I have time between meetings to take proper notes and process all that we had discussed. For the first time that I could recall, I found myself hoping that someone would fail to show for their meeting, just so that I would have time to catch my breath, take my notes, research counseling approaches that could help each student, etc. In short, the faster pace took away fun, made the work less meaningful, left no time for stimulation, and interfered with the true relationship-building of my work. In trying to do more, I achieved less. Fast forward to today and traders talk with me about their trading. They raise problems and concerns and usually their answer to the challenges is to do more: write more in a journal; meet more with other traders; spend more time in preparation; follow more markets and generate more ideas; etc. etc. They speed up their efforts, they get further from what they love in trading, and eventually the assembly line breaks down. Imagine decorating your living room. You acquire attractive furniture and wall hangings and the room looks good. Then you decide it can look even better and you buy more furniture, display pieces, and pictures for the walls. At some point, the items clash with one another: one style of furniture doesn't go with another, one type of decoration does not fit with the style of others. With each addition to the room, tasteful decoration gives way to chaos and clutter. So with our trading, so with our lives: More can bring less. 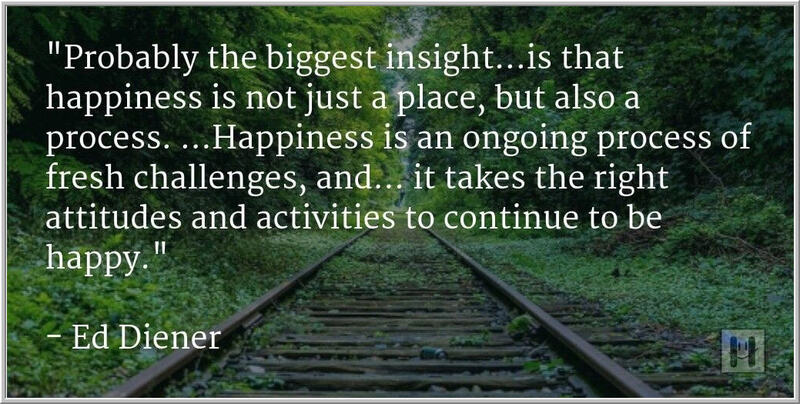 Sometimes the answer, for traders as for me when I was doing the student counseling, is to do less and focus more on the parts of the work that bring true joy, fulfillment, stimulation, and connectedness. Those facets of work yield positivity precisely because they draw upon our strengths. When we focus on what speaks to us, we turn happiness from a transient state into an ongoing process. That energizes our trading--and our lives.